We use computer in our daily life to reduce our workload and save our time. Our precious data is stored on hard disk. We know that computer is not a life dependant device. It can fail at any point of our routine work. Like number of virus and harmful files may corrupt data, usually we prefer to use antivirus for windows to keep computer secure. Also a disaster can occur which can destroy our system. Sometimes we accidentally loose our data. In all that situation we can not get our data back until we do not backup it. So we need Backup software for PC to take backup of our precious data. With the help of these tools we can get backup of our entire system with OS and software to restore it later. 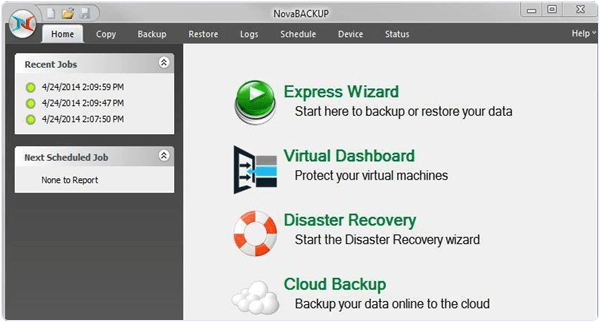 Backup and restore software for windows helps to take backup on cloud storage, network device and USB device. Today here we will provide you some best backup software for windows to keep data secure and protected. List Of Best Backup Software For PC Windows. 2. 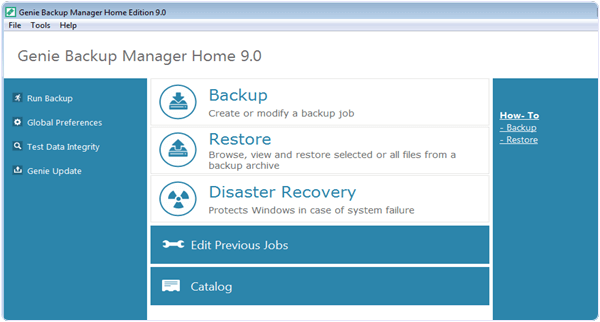 EaseUs Todo Backup Home. 5. 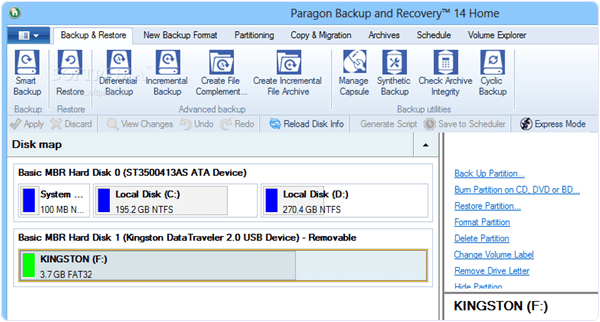 Paragon Backup and Recovery Home. 9. O & O AutoBackUp. It is one of the best backup software for PC. 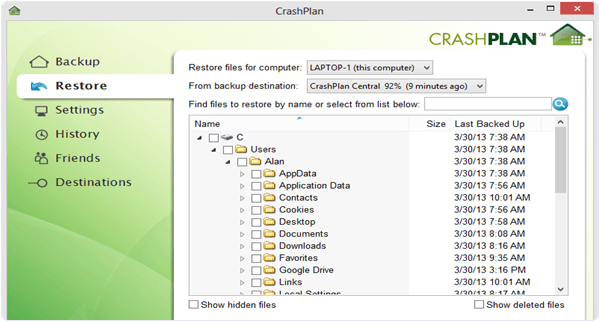 CrashPlan is available for Windows, MAC and Linux. It is compatible with Windows 7, 8, 10. This tool provide easy backup of our hard drive to an external storage or we can backup our data to an external computer on a network. It provide its free version and paid version. 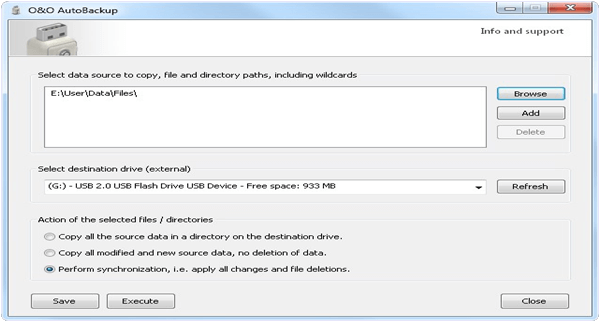 In free version we can backup on to an external and network computer drive with 128 bit encryption. In paid version we can unlimited backup on to its server with 448 bit encryption. It is available for a cost of $55.99 per year. It is another best tool in all best backup software for PC windows. It is an affordable backup solution for laptops and PC. We can even backup an Android phone with the help of this tool. We can create a system image with all configurations and OS. Users can also take backup of our files and folder. We can create backup in external device, network computer or in the same PC. It is compatible with all version of Windows. It is available for a cost of 29$ for one PC. It is one of the best in all backup software for PC windows. It is a paid software which offer 30 days trail with full features. We can easily backup our all data to an external hard drive. 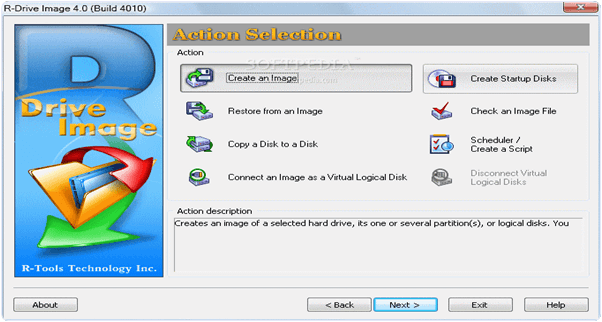 We can create as it is image of our hard disk with software’s and OS and restore it later to other hard disk. It also a good option for organizations to backup server data. We can also store data to its cloud but first we have to but its cloud. It is available for a cost of $ 89 per year. 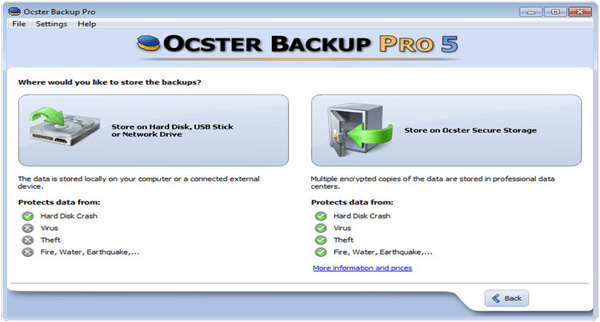 It is another best tool in the list of top backup software for PC. It is also compatible with different version of Windows. We can create the back up of our full system to recover against the system disaster. We can also create backup of our selective files in compressed format to save our space. It provide 128 bit encryption for back up securely. This tool is available a cost of $ 49.95 USD. It also provide special discount if we buy multiple license. It is one of the amazing among all backup software for PC. It is compatible with Windows xp Vista, 7, 8, 10. We can easily backup our data to external Hard drive and to a network computer. We can also create our system backup with its OS and software. Its special feature knows as recovery media builder allow as to make bootable backup of our data. In case of system crash we can easily recover form the bootable backup. It also allow customizable restoration from the our backup. It is available for a cost of $ 39.95 for life time per PC. It is a wonderful software in the list of best backup and restore software for windows. We can easily backup our files, folder and also system image can be backup with the help of this tool. We can easily recover our system across the hardware failure, disasters etc. Users can easily backup our data on local system and also use online file sharing websites like Dropbox, Google drive etc. It can take a backup at 4x speed. This tool is compatible with Windows XP, 7, 8, 10 etc. It is available for a cost of $49.95 USD. 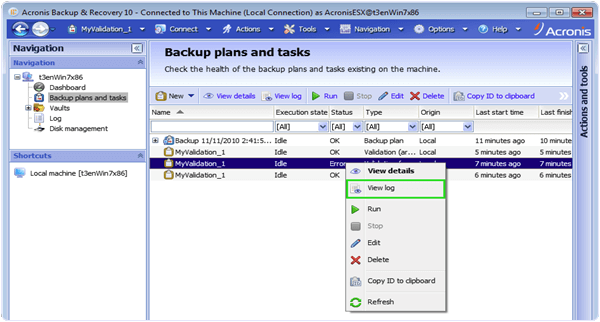 It is also good tool for creating the image of our system for backup purpose. This tool is light weight tool for easy backup. It create byte by byte true image of our system. We can also store this image to removal drive or on the same computer. We can easily restore our system data back which is lost due to OS crash, virus Attack or some other reason. Image file can be split and store to different device. It is available for a cost of $45 per year. It is also a good backup software for PC. This tool is compatible with Windows Xp, Visita, 7, 8, 10. It can backup data to an external device and to a network computer. It provide a free version and a paid version. In free version we can not create system clone image, command line backup and backup image merge. Its professional version is available for $49 for 2 computers for life time. It is another best backup software for PC. 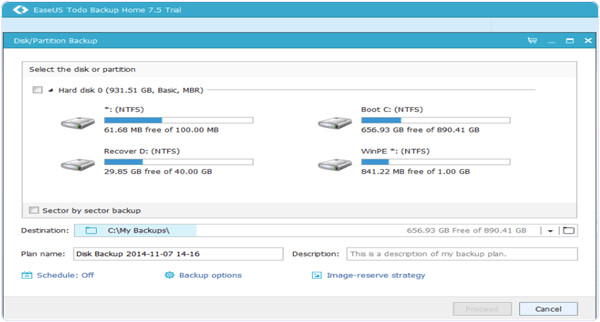 It you want simple backup software in low cost then it is really good choice for you. We can easily backup our data on any external hard drive. It automatically sync data when we connect external drive to our PC. This Tool is compatible with Windows 7, 8.1, 10 and vista. It provide simple and easy interface. It is available for a cost of $29.95 per year. It is another best backup software for Windows. It can backup our data on cloud storage services like Dropbox, Google Drive or other cloud storage services. We can also backup our data on local computer, network computer, external device like USB etc. It is easy to use no technical knowledge is required just follow the simple steps. We can also backup system image for restore it later. It is available for $ 39.90 USD. These are all top backup software for PC windows & mac which help to backup and restore our all data and files whenever we want to do.